About two weeks ago Stephen came home from work and asked if I wanted to go to Scotland. 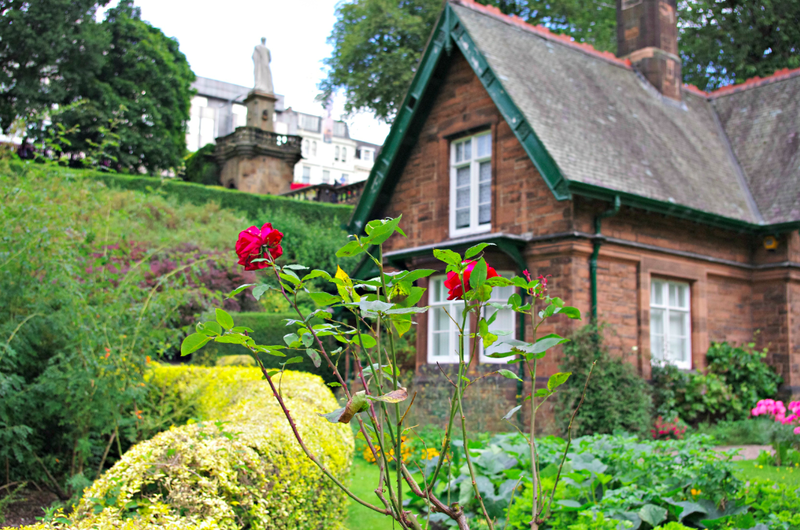 So last week we went to Scotland. Normally I don’t do well with last-minute trips — I was still working on planning our upcoming Istanbul and Cannes holiday — but I decided to embrace it. We overpaid for the train and hotel thanks to the Fringe, but we made it to Edinburgh. 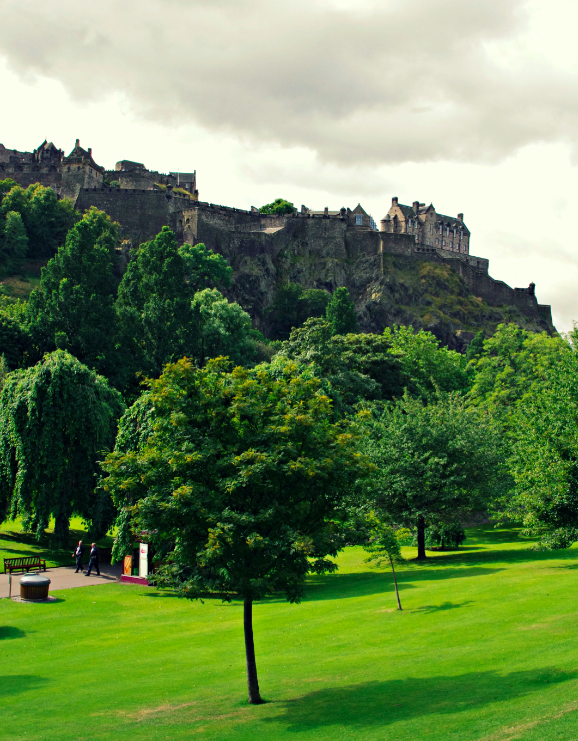 I was apprehensive about visiting in August, when the population of Edinburgh allegedly doubles because of the festivals, but it surprisingly wasn’t bad. There were crowds of people on the Royal Mile where the festival was headquartered, which was to be expected, but elsewhere like the castle we didn’t have to wait in line (I’m sorry, “queue.”). 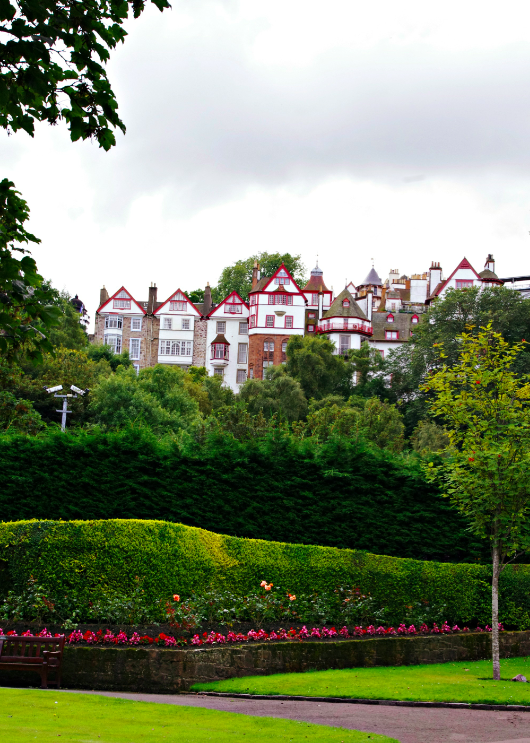 I really enjoyed Edinburgh as a city — even with the festival and people, it had an authentic aura. I was impressed that there wasn’t a souvenir stand on every corner like in some tourist-heavy cities (just the occasional kilt-wearing storm trooper posing for pics). 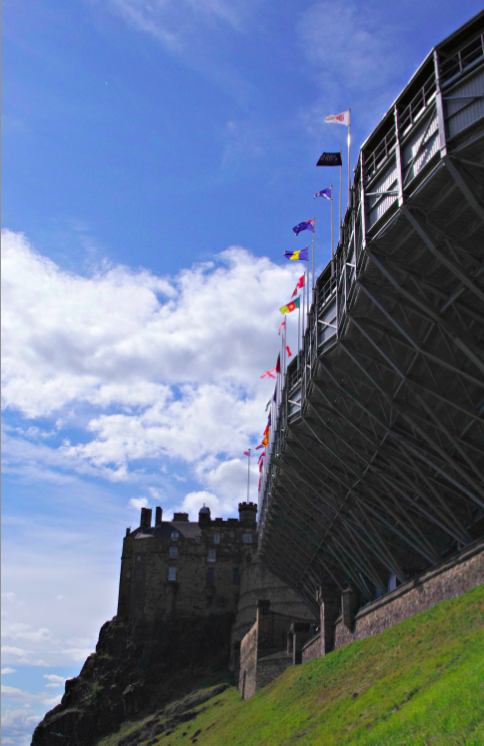 Stephen kept comparing elements of it to Harry Potter, like the stadium adjacent to the castle for the Edinburgh Tattoo (JK Rowling allegedly wrote a lot of Harry Potter while in Edinburgh. The local cafe has capitalized on this). 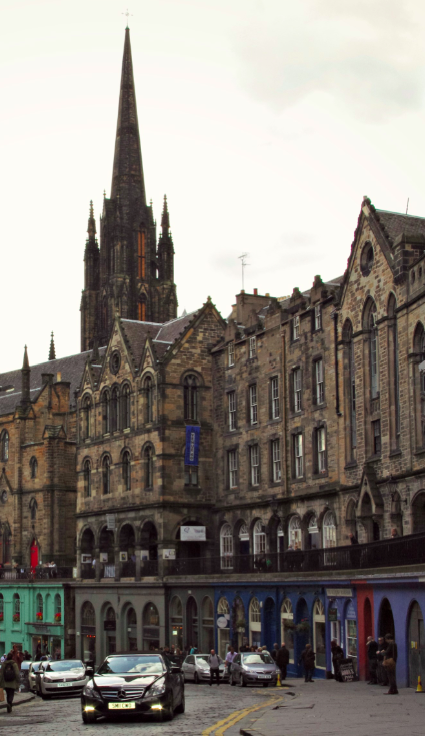 Side note: If there are several different festivals and events going on in Edinburgh during August and one of them is called “Edinburgh Tattoo,” would you also assume it would be full of people with full sleeves and face tats? Nope, it’s a military performance. Apparently I have zero knowledge of military terms. Does this make you think of Hogwarts and quidditch? 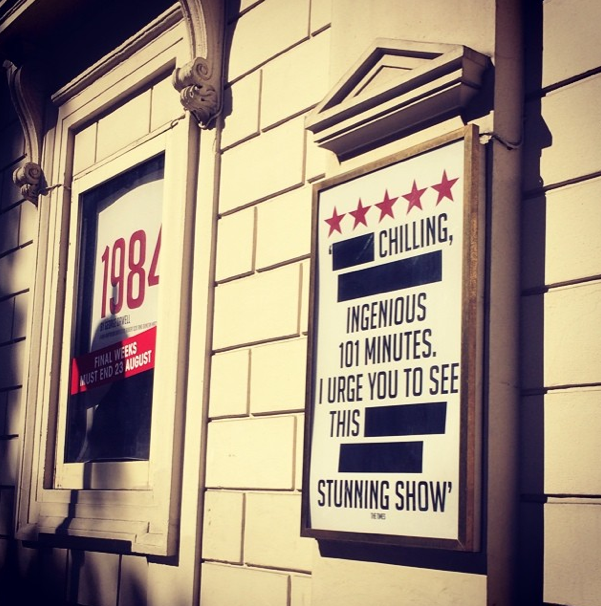 Shows for the Fringe were publicized everywhere. 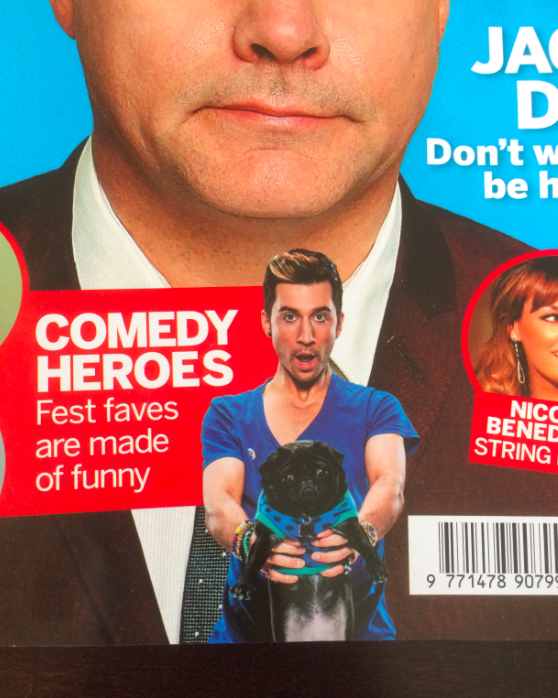 I don’t know who this comedian is, but if the pug is part of his act I really should have gone. 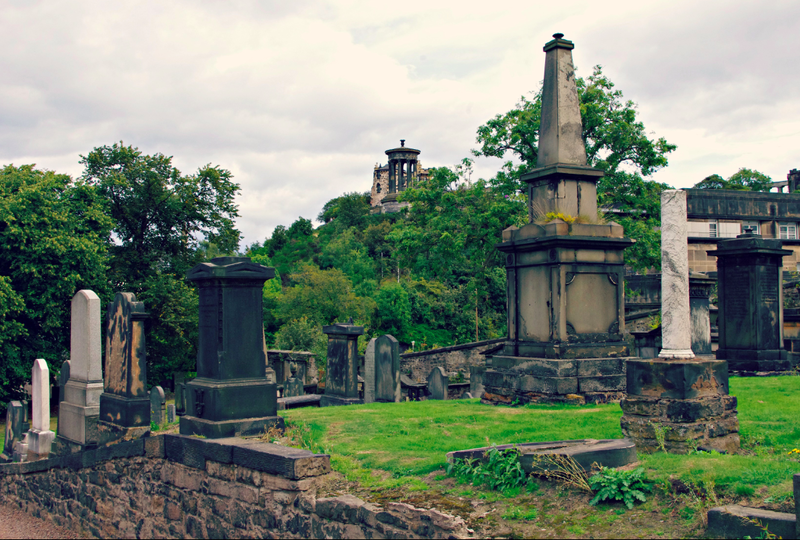 And now some random photos I took around Edinburgh and hastily edited. We were only there for about 29 hours, and while we saw a lot — and walked a lot, 9 miles each day according to my FitBit — I would not mind going back again. It so happens that the only pandas in the UK are at the Edinburgh Zoo, but the exhibit was closed while we were there because they suspect the panda is pregnant. If a baby panda is not the perfect reason to go back sometime, I don’t know what is. There is the sprint you do at the finish line of a race, and then the sprint you do when you spot a corgi at the end of the street IN YOUR NEIGHBORHOOD ASAKSDFJLKADF HOW HAVE I BEEN OUT RUNNING AND WALKING SO MANY TIMES AND NEVER RUN INTO THIS MAJESTIC CREATURE?! So I ran faster than I have ever run before to catch up to this little guy and slyly took a photo. In typical Renee/British fashion I was too shy to ask the owner if I could pet her corgi or perhaps steal him. The photo came out horrible because it was slyly taken, but here it is zoomed in so you can see the grainy momo and tail. 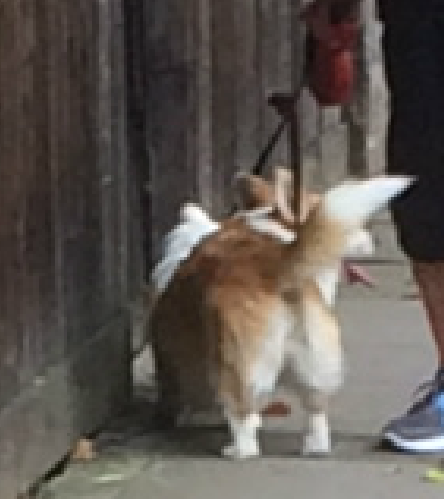 (The fact that this corgi had a tail probably means he’s related to the royal corgis because the queen prefers corgis with tails. Obviously). And now I will proceed to use my Instagram account to remind myself what I’ve been up to lately and what I wanted to share with you. I am all about hot buttered Cherrios lately. 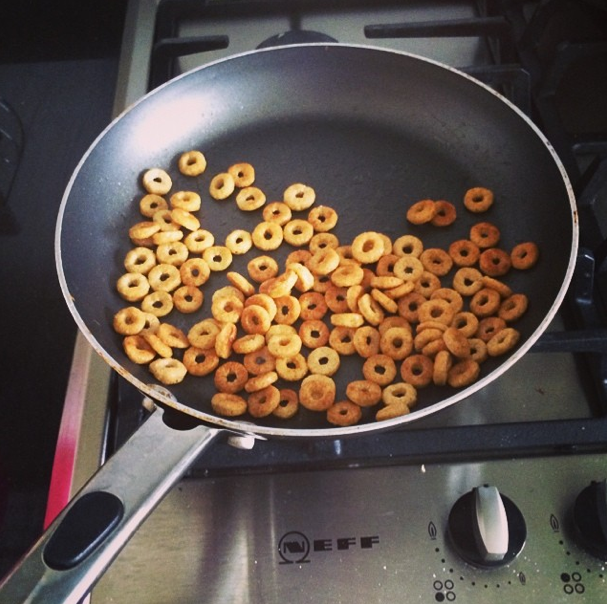 It’s exactly what it sounds like — Cherrios (or in my case, cheapo Aldi brand honey hoops) cooked in melted butter until lightly toasted and hot. It’s from a 1982 Cheerios magazine ad. Chocolate Cherrios were on sale this week so I hot buttered those too. I can never go back to eating Cherrios out of the box like a normal person now. It still cost me the equivalent of $2.50, but it was worth it. 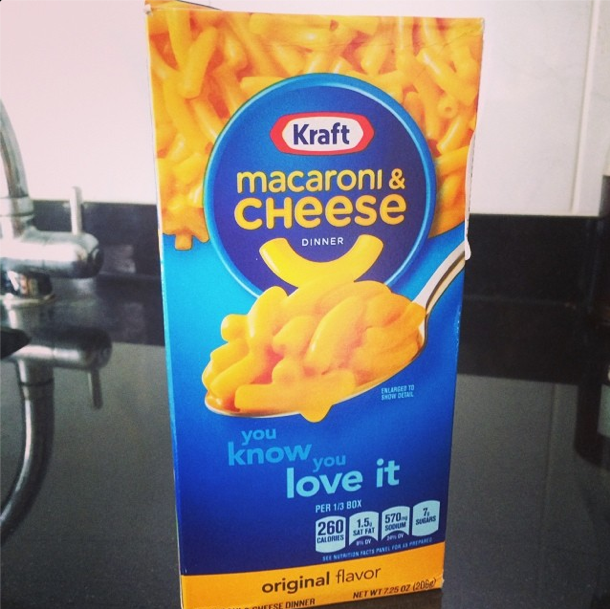 Sometimes you just need some neon powdered cheese product. 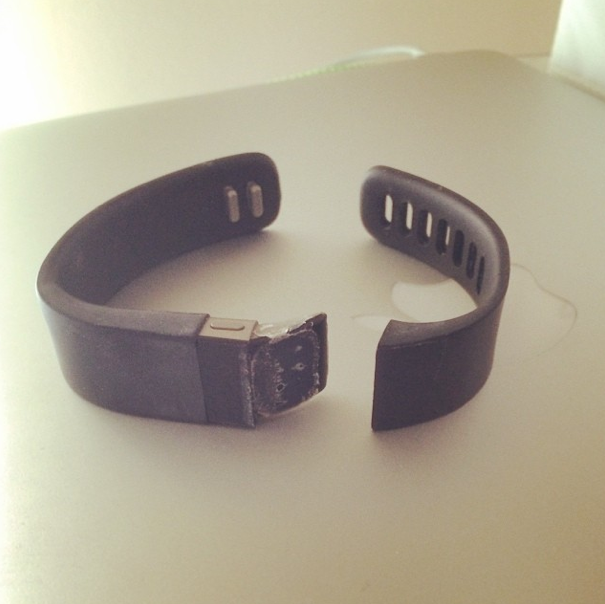 About a week ago I woke up in the middle of the night and my Fitbit Force was lying beside me in two pieces. I freaked out because I cannot live without it and and I can’t get a replacement because the Force was recalled, but also because I was not going to get an accurate sleep reading with it lying on top of my laptop beside me. I tried fixing it with Elmer’s glue and tape, which lasted all of seven hours, and then I pulled out the big guns — superglue. It’s been holding for a week now ::knock on wood:: My friend sent me an article David Sedaris wrote about his Fitbit obsession and I could fully relate. I’m either going to be curled up in the corner crying if this superglue doesn’t hold or walking around trying to count my steps manually. Let’s just hope it holds and the new model is released soon. 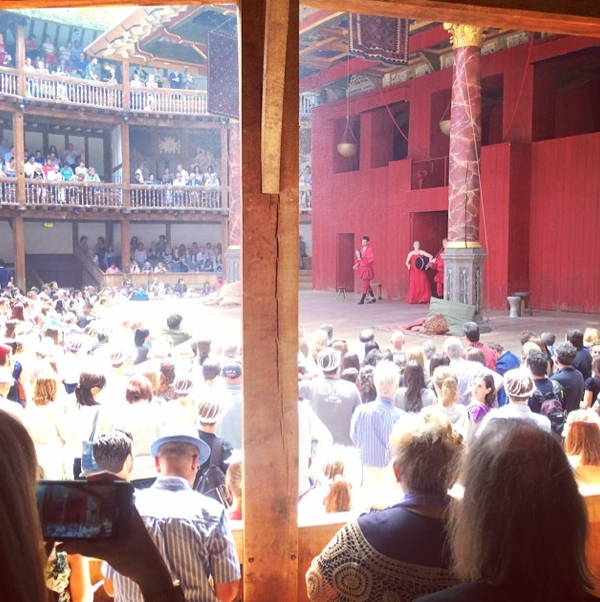 A couple weeks ago I saw Antony and Cleopatra at the Globe. I’m still not a Shakespeare fan, but I’d rather see it live than read it, and I’d rather watch it sitting down than standing. Three hours standing in direct sunlight, no thank you. 1984 was more my style (and my 20th show in London!). I did the day seat queue thing, but instead of running back home to eat and change and come back out, I brought my laptop with me, got some work done at the library, checked out the BP Portrait Award winners at the National Portrait Gallery, ate sushi in the park, then went to the show. It was a lovely afternoon, I may have to try it again with another show soon.